Save The Date: BRAVO! 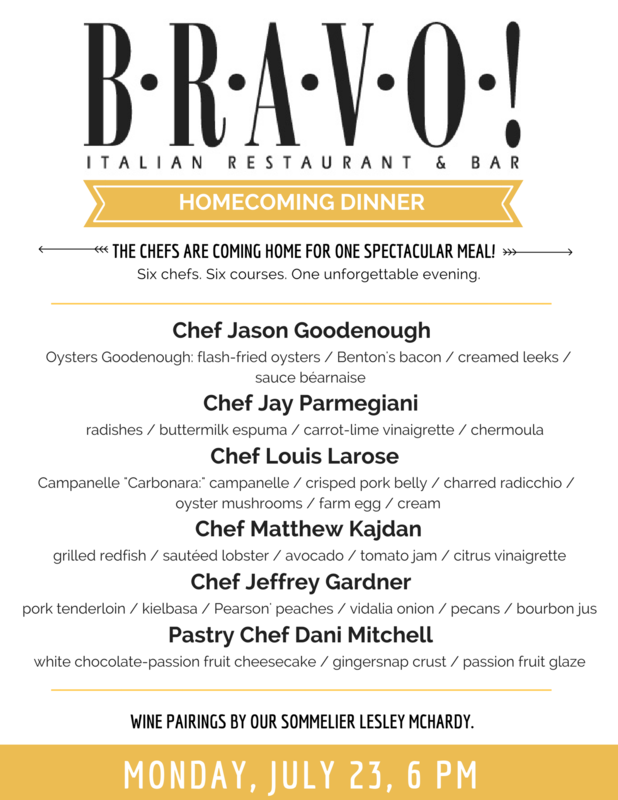 Homecoming Dinner | BRAVO! 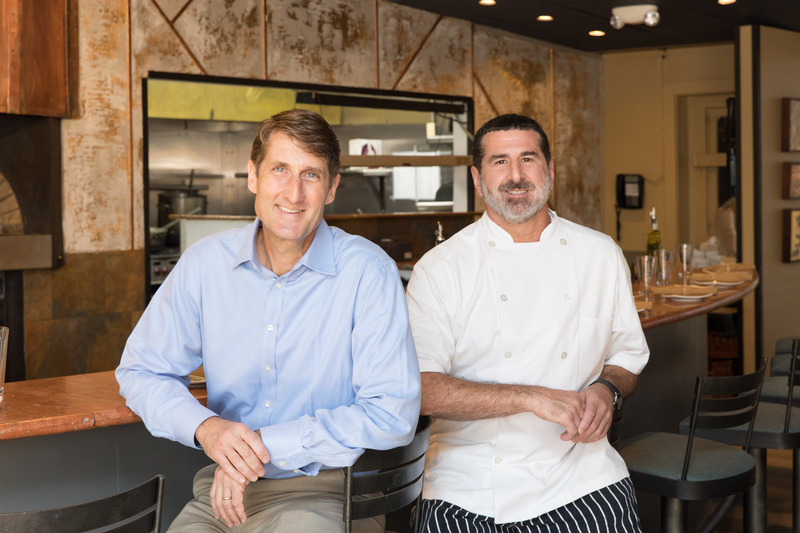 You read that right- the chefs are coming home! So save the date for Monday, July 23 at 6 PM because this is going to be an evening like BRAVO! has never seen before. Six of the best chefs in the business, who all got their start here, are all coming home for one unbelievable dinner. Six chefs. Six courses. Premium wine pairings. A night like no other. Seats are $125 per person and include wine flight. Make your reservation now here. The menu is here! Check it out below.